Used to signal U.S. troops to advance from their trenches against the Germans. 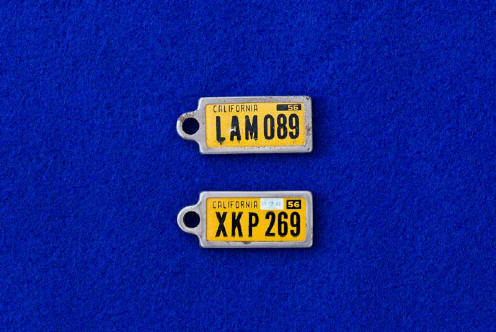 License Plate Key Chains issued by Disabled American Veterans in 1956. Obtained by Rob Horne in 1956 - China Lake CA. Dug out of a dumpster behind the Navy Base post office. I had hundreds at the time but only these remain. Art Deco compact by Richard Hudnut - 1920's This 1-5/8" chrome plated hinged compact is marked RICHARD HUDNUT. It has the original powder puff and mirror. Richard Hudnut (1862-1928) is regarded as the first American to enter the cosmetics field in a major way. 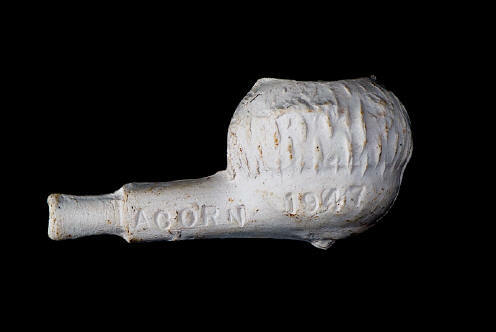 Old dug clay trade pipe from the old Pamplin Va. Pipe factory. 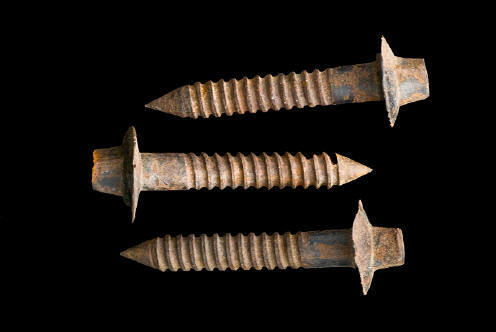 Rare - Used for ore cart rails. Pounded in to the threads then screwed into place. Collected by Edward V. Horne (1914-2003) in 1955 from an abandoned Mojave desert mine somewhere out of China Lake. A Horse brass is a brass plaque used for the decoration of harness gear, especially for shire and parade horses. 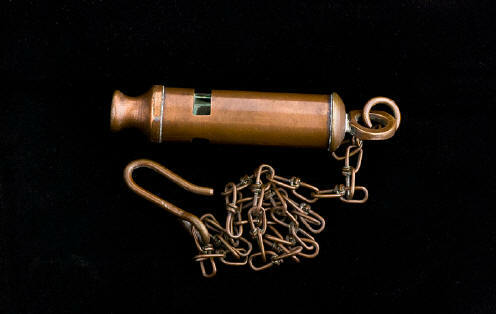 Used since antiquity, they became especially popular in England in the 1800s, and remain a collectors item today. There are a great deal of unfounded myths surrounding these decorations such as their usage as Amulets to ward off the "Evil Eye". The most popular size is 3 x 3 1/2 inches of flat brass with a hanger by which the brass threaded onto a horse harness strap, known as a Martingale. In England many of these items of harness found their way into country public houses as the era of the heavy horse declined, and are still associated today as a pub decoration. By the late 19th century Wagons and carts were decorated with brasses of all kinds and sizes. During this era, working horse parades were popular throughout the British Isles and Prize or Merit awards were given, some by the Royal Society for Prevention of Cruelty to Animals (RSPCA). Horse brasses were often highly prized by the "carters", who decorated their horse with them. 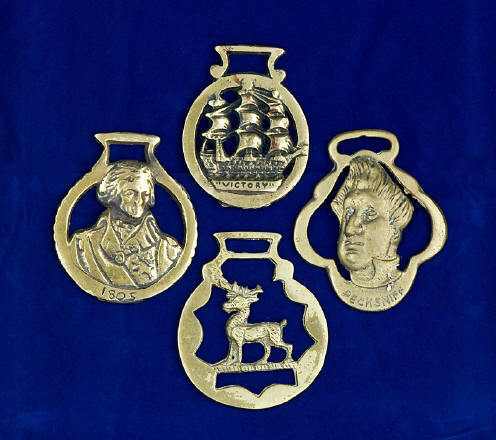 Other horse brass subjects include advertising, royalty commemoration, and in later years, souvenir brasses for places and events many of which, are still being made and used today. The brass on the left celebrates Admiral Lord Nelson who commanded the HMS Victory during the Battle of Trafalgar (21st October 1805). 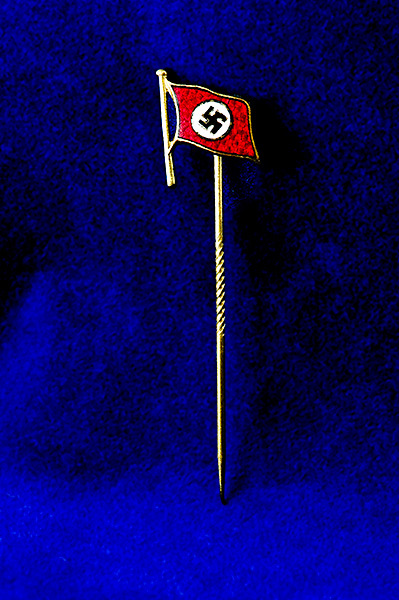 As evidenced in photos, many German workers would wear Nazi pins to indicate their membership in organizations like the Deutsche Arbeitsfront German Labour Front (DAF). The DAF was founded in 1933 and replaced Germany's numerous trade unions. It controlled the KdF which was responsible for the Wilhelm Gustloff. 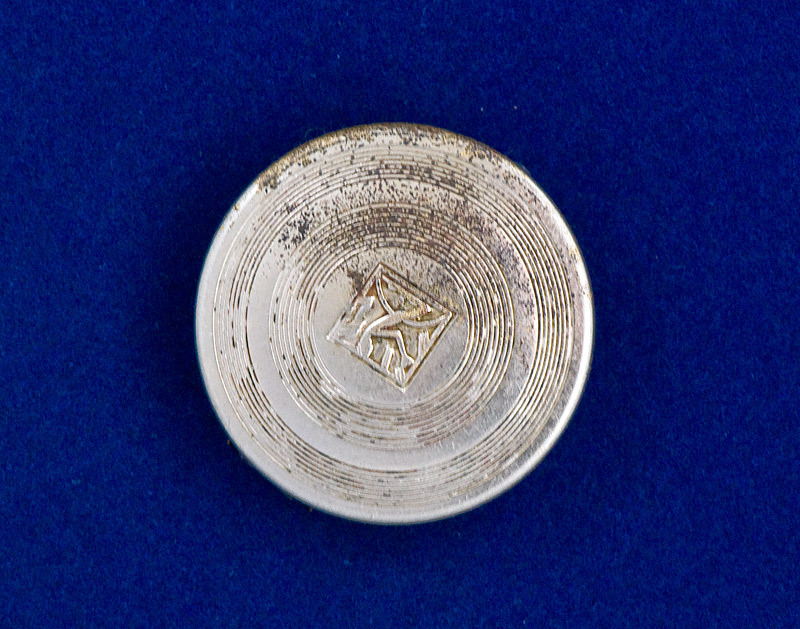 Enameled versions appeared on the lapels of many cruise participants up until war broke out in September 1939. Given to my mother, Mary Schofield Knowles (1914-1992), in 1939 at a dance somewhere in Philadelphia by an employee off a visiting cruse ship. It was before the war but even then he warned her that it would become an unpopular symbol.